This is the Schick Quattro. A four-bladed shaver. I am looking forward to using it. It's a big step for me though, jumping from two straight to four blades. I have no three-blade experience whatsoever. 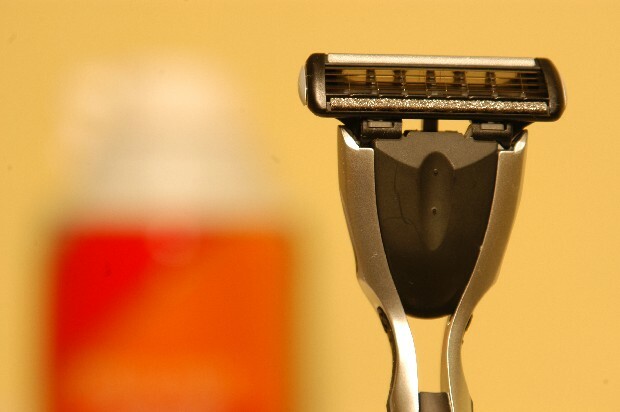 Product Review: I imagined the four-bladed Schick Quattro would glide smoothly across my face. It didn't have any less drag than the two-bladed shavers I normally use. I was thinking I had been bamboozled out of my money ... until I rinsed it off. Because their are so many blades this shaver was much easier to rinse than most*. I also noticed that, as Schick claims on the box it took me less time to shave. Then I looked closer in the mirror, I shaved my face off!